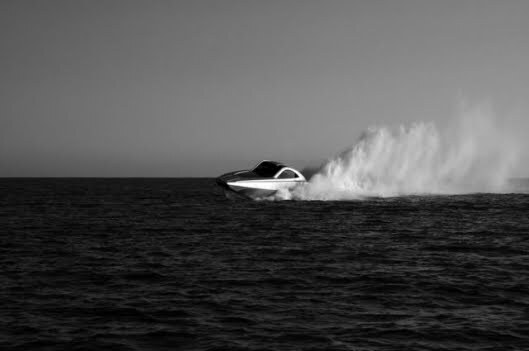 It’s easy to see why it’s been labelled the ‘Bugatti Veyron’ of the sea – the stunning XSR48 is a luxury £1.2m powerboat that takes inspiration for both its performance and styling from the World’s finest supercars. Deriving 1600hp from its two bi-turbo 11.3L diesel engines, the 48ft XSR48 promises extraordinary handling and mid-range acceleration in achieving speeds of 75 knots. And the comparisons don’t end there – supercar DNA is evident from the Kevlar and carbon-fibre hull/deck structure based on an F1 style monocoque right through to the cockpit and dashboard. 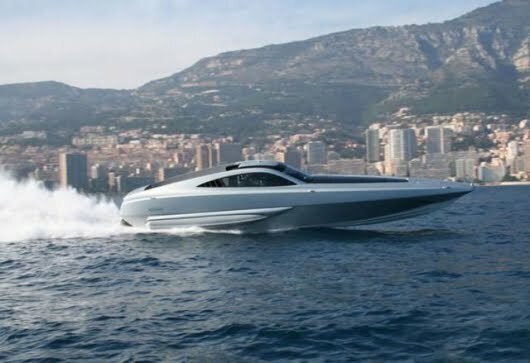 The first production model is set to be unveiled today at the Monaco Yacht Show and Gizmag will be on the scene to bring you updates and further images – stay tuned.Described as “one of the world’s most technologically-advanced and safest high speed craft”, the XSR48’s structural integrity is derived from the unique F1 style monocoque hull/deck structure that also enabled the inclusion of glass roof down the full length of the deck and an increase in internal cabin space by around 40%.The twin bi-turbo diesel Isotta Fraschini 11.3L engines each provide a minimum of 800bhp and in keeping with the supercar theme, “bells and whistles” have been stripped away leaving clean, stylish lines that continue throughout the interior to emphasize the purely aggressive nature of the craft. The extraordinary vessel has been developed in collaboration hull designer Fabio Buzzi, superyacht designers Redman Whiteley Dixon – who utilized automotive 3D CAD for the design - and marine structure specialists High Modulus.The first production model is being presented at the Monaco Yacht Show by Founder Directors of XSMG Marine Ian Sanderson and Peter Dredge - both world powerboat champions and multi-world record holders - alongside the prototype that made its debut last December. The XSR48 will be manufactured at the Berthon Shipyard in Lymington.